The quintessential Slopeback French club chair. 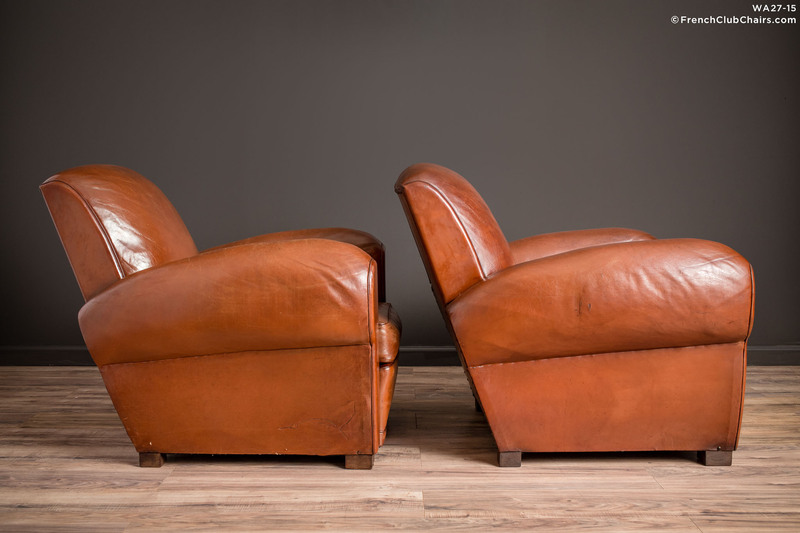 This mild mannered pair of chairs has the perfect blend in look that would settle in nicely with practically any type of furnishing.All original leather Circa 1940s. measurements: depth-36", width-37", height-32", seat depth-22", seat width-18", seat height-15"